Now in final stages of preparation with Anne-Marie Culhane for Fruit Routes – Summer 2018 at Loughborough University – looking forward to seeing you there! 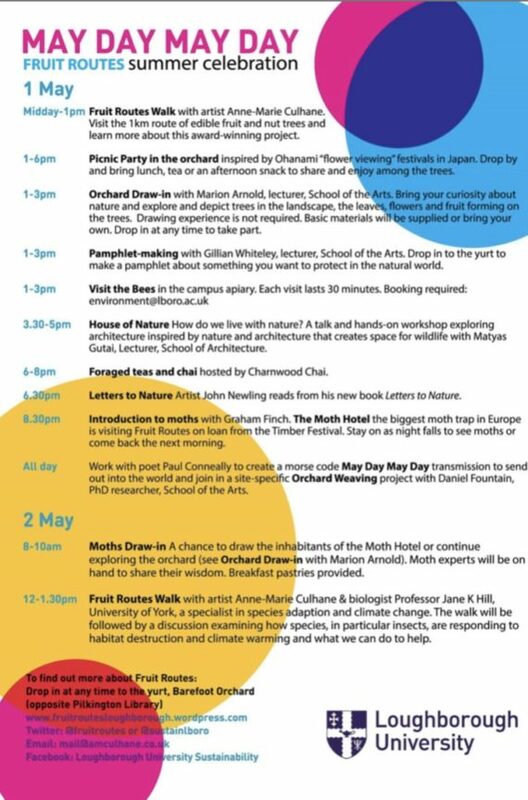 On May 1st and 2nd 2019 I take part in the next major Fruit Routes event at Loughborough University. I’ve been working on Fruit Routes with artist activist Anne-Marie Culhane who conceived and has led Fruit Routes since it’s inception both as Fruit Routes Poet and through performance / performative pieces. This year I will be working with visitors to create (primarily in the Barefoot Orchard) short haiku like climate emergency ‘messages’. These will then be translated into Morse Code messages and transmitted by radio from our emergency field radio transmitter as ‘MayDay MayDay’ messages into the ether. We discovered that in a National Emergency when communication systems such as the internet and phone networks may be compromised then a network of radio hams and official radio installations are ready to be put into action, many using Morse in addition to or instead of verbal communication. With this in mind and alongside our view that we are in a climate change emergency we too are using radio and Morse Code to transmit our climate crisis emergency haiku messages out into the world. The Morse Code Haiku will also be available after the live broadcasts in other forms including visual, written and recorded media. 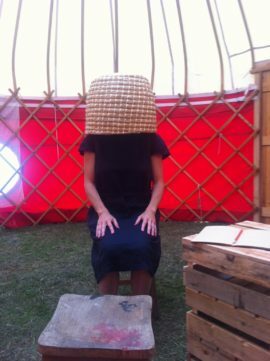 During Fruit Routes June 2018 at Loughborough University Anne-Marie Culhane and I will be performing a new iteration of SKEP where visitors will be invited to become ‘SKEP’ donning a traditional woven beehive on their head and engaging with thoughts for action for a more sustainable life … this will involve writing and drawing whilst effectively blindfolded due to your head being encased inside the beehive the skep… COME AND JOIN US! 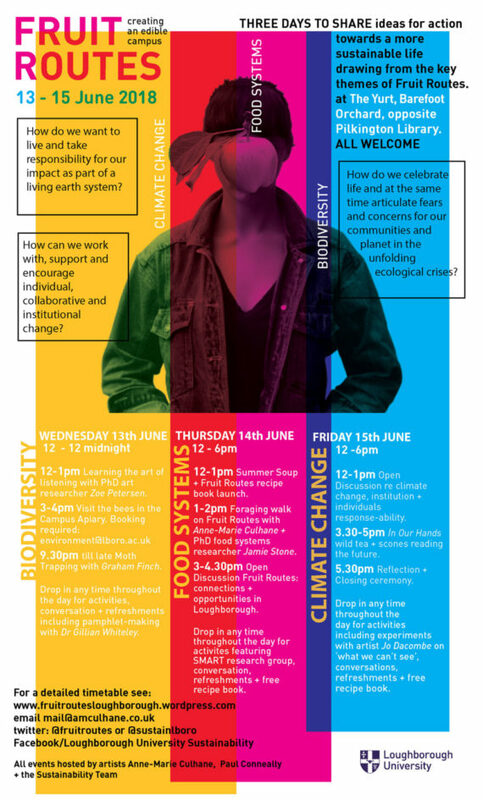 June 13th to 15th in the Yurt at the Barefoot Orchard, Loughborough University. 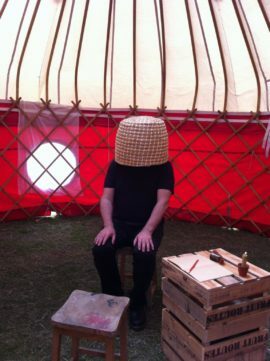 Cultural Forager Paul Conneally is an Artist / Poet from Sheffield currently based in the East Midlands.